Carlyle Care Center will no longer serve the mentally ill, leaving the question: Where will they go? Ursula Heflick, who works part-time at the Carlyle, says she's standing up for residents. When staff and case managers at the Carlyle Care Center pulled everyone into a meeting area in late April, handed out donuts and informed residents that by Halloween the facility would no longer serve folks like them — mostly people with chronic mental illness — the reactions varied. Some residents cried, some didn't understand what was going on, some thought it was cool and talked about how they might move out and buy a big-screen TV, says Ursula Heflick, who works a few hours a month at the facility. Others asked, "Where do I go? Where do I go?" Some were later taken to the hospital after saying they were thinking about suicide, she says. They were told the building — located downtown, at Post and Second — would transition from assisted living to some sort of supportive housing facility for people coming out of prison. Medicaid rates haven't kept pace with the cost of providing intensive care, and the nonprofit that runs the Carlyle, Pioneer Human Services, was founded to help people transitioning from prison back into the community, so the shift would align the facility more with Pioneer's mission, spokeswoman Hilary Young tells the Inlander. A few of the Carlyle's current 107 residents (the facility can house up to 127) say they felt blindsided. Standing outside of the Carlyle a week after the news, drinking a can of soda, 28-year-old Victor Chatman says he was shocked when the residents learned the news. "I thought it was good news. Then they dropped a bomb on us: I have to move," Chatman says. He'd just moved into the Carlyle a few weeks earlier, after he says he had issues in two group-home settings. Chatman says he had a stroke when he was a baby that resulted in complications that still affect him. He expected to live at the Carlyle for a long time. "I won't get to have my first Thanksgiving or Christmas here. I'll miss the staff." Another resident, who asked to go only by Anthony, says he couldn't believe the news, or the way it was delivered. "They called us all in, they're passing out sweets, what a joke that is," Anthony says. "For a couple days people were so quiet, like I've never heard it before." And many of the 65 staff members were upset, too. Heflick says she took the microphone after hearing what would happen. "I told them that it is unethical to take the home of these chronically mentally ill persons who do not have a voice in society," Heflick says. "It sounds very reassuring to say that there's a transitional plan in place, but I cannot for the life of me imagine where all these beds will come from." Brenda Graham, Carlyle's director, gives a tour of a resident's room. Residents have been assured that Pioneer, the Department of Social and Health Services, the Spokane County Regional Behavioral Health Organization and Frontier Behavioral Health will help them transition to another home, looking for the right fit for each person over the next six months. The Carlyle is the second assisted living facility to announce a closure or transition in recent months. South Hill Senior Living in the Cooper-George Building announced early this year that it would close May 1 because Medicaid rates hadn't kept pace with costs, and as 63 of 67 seniors there were on Medicaid, the owner couldn't afford to keep it open, KXLY reported. On top of that, Victory House, a transitional housing program for 35 homeless veterans that's run on the seventh floor of the Carlyle, won't operate after Sept. 30 because the federal government is changing the way it pays for those programs, and Pioneer has decided not to bid to provide that service again, Young says. The county is working with other providers to see how many spaces there are for Carlyle residents, and what types of care would be best, which could be higher- or lower-level depending on the person, says Christine Barada, director of Spokane County community services, housing and community development. 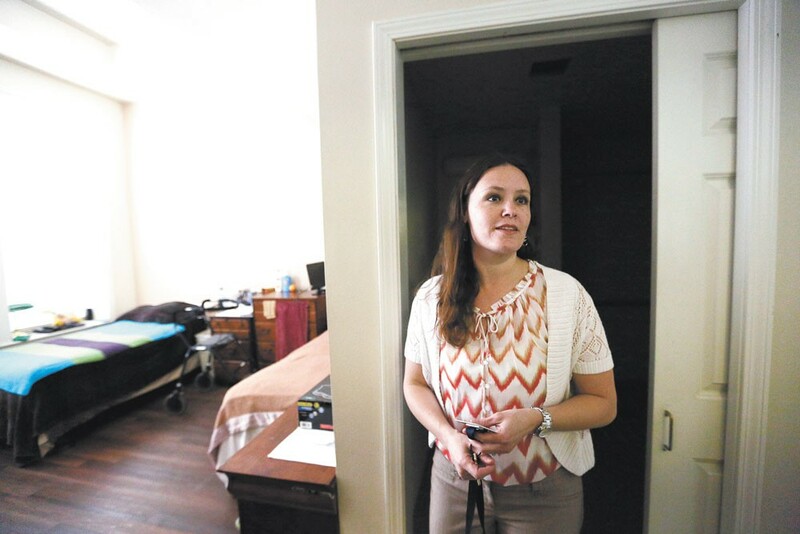 The behavioral health organization pays for 107 other similar beds in the county. "Of course, those are all pretty full, but some of them have openings," Barada says. The county will also look to see if facilities they already work with can expand to take more people. 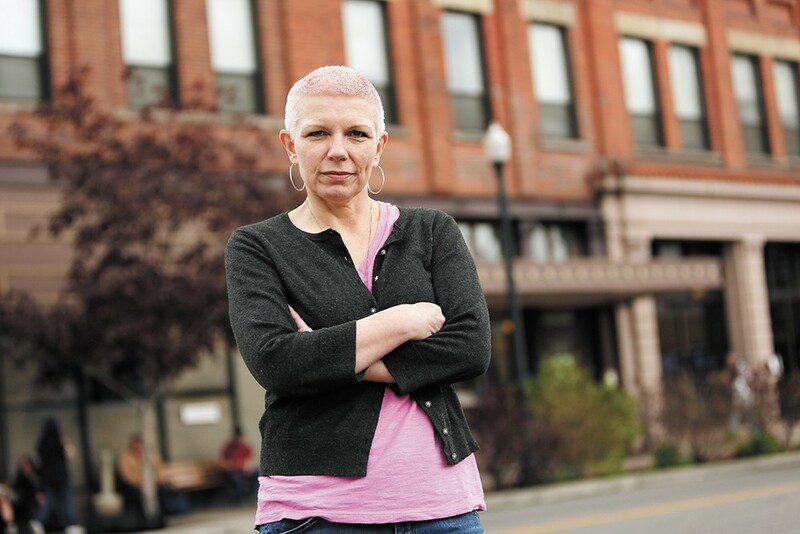 Uncertainty over securing appropriate housing for the residents is part of why Heflick is speaking out, even though she says she could lose her job at the Carlyle. She says she knows that other staff who feel the same way don't have the luxury. She's worked at the facility in some capacity since 2007, starting as a nursing aide, working up to social services manager, then leaving in 2015 to take a tenure track position at Spokane Falls Community College. She still helps train staff at the Carlyle a few hours a month. She's created a "Save the Carlyle" Facebook page, is speaking to the media despite being warned not to, and on Monday night, she and another woman spoke to the Spokane City Council, calling on city leaders to do something about the loss of assisted-living beds at the Carlyle and the Cooper-George Building. Even if housing is found for all the residents, which Pioneer and other service organizations say they are confident will happen, Heflick says the change will rip apart "this very colorful, organic community that the Carlyle has been." "It's as great and functional as families are, basically, and most of these people don't have family involved in their lives," she says. "For whatever reason, the Carlyle works really well." The Carlyle serves adults of all ages. At one time they had an 18-year-old and a 98-year-old living there at the same time, says Brenda Graham, the Carlyle's director. Residents typically live two to a room, get three hot meals a day from the full-service kitchen, and have access to nursing assistants 24/7 who can help with medications and tasks like showering and reminders to do things. A nurse is at the facility seven days a week, and an advanced registered nurse practitioner comes once a week to care for people who feel less comfortable leaving to go to the doctor. Residents are usually referred in from Sacred Heart's psychiatric unit or Eastern State Hospital. They get housekeeping daily, and their linens are cleaned at least once a week. Help with laundry is available, or residents can wash their own. There are also camping and fishing trips in the summer, a trip to Silverwood every year, talent shows and movie nights. Karaoke and bingo are very popular. One thing Heflick says she appreciates most about the Carlyle is that the staff allow the residents to be as independent as they are able to be, and are "trained to meet people where they are at." For example, if a resident thinks they are a movie star, the staff doesn't insist on using their given name on their door tag, but will allow the name they want to use instead, she says. "The real mission of the Carlyle is to just really make it possible for people to have a life and to have dignity, not to make money," Heflick says. She questions that cost is a concern here. Part of her job at one point was making sure the facility brought in around $9,000 per day by keeping the beds full. She says one year she was told that amount would be lowered, to $8,650, which she met or exceeded seven of eight months she was there. The cost to stay at the Carlyle varies, depending on the level of care the residents need, but ranges from $1,430 to $3,230 per month. Annual operating expenses were $3.5 million in 2016, Young says. Spokane County's behavioral health organization pays $56 per day for each of the roughly 50 people staying there through the county's mental health and chemical dependency sales tax dollars, Barada says. DSHS pays $65 per day for another roughly 50 people who stay there with state help, with half of that cost covered by Medicaid, and the other half from a state general fund match, says Chris Wright, a department spokesman. "There seems to be a perception there's a profit motive, but low-income housing and providing service-rich housing is not a profitable business," Young says. Under the type of program the Carlyle will likely transition to, residents would be charged rent based on the surrounding market rates, and because they are more independent, the cost of staff and services will be lower, Young says.